Curraghs Wildlife Park has saved 20 acres of tropical Choco forest in Colombia thanks to three donations to World Land Trust (WLT). The wildlife park made two donations of £500 to save forest in Colombia in 2014. A year later, in May 2015 the park made a further donation of £1,000. 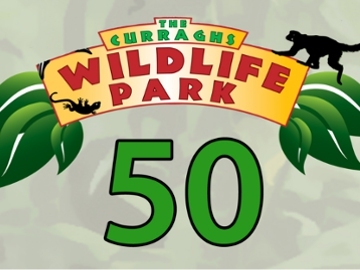 Curraghs Wildlife Park is a British and Irish Association of Zoos and Aquariums (BIAZA) member and a supporter of WLT’s Wild Spaces programme, which enables zoological collections and their associated bodies to meet their in situ conservation goals. Located in Ballaugh, Isle of Man, Curraghs celebrates its 50th Anniversary in 2015. The park is on the edge of the Ballaugh Curraghs, a site of scientific interest (a Ramsar site), and attracts visitors from across the island and further afield. The money Curraghs donates is raised through craft activities, such as mask making, and events for children including Easter Egg hunts. A member of BIAZA, Curraghs is home to endangered species, large cats, birds of prey, primates and family favourites such as Meerkats and Prairie Dogs.